Debian Long Term Support (LTS) is a project created to extend the life of all Debian stable releases to (at least) 5 years. Thanks to the LTS sponsors, Debian's buildd maintainers and the Debian FTP Team are excited to announce that two new architectures, armel and armhf, are going to be supported in Debian 7 Wheezy LTS. These architectures along with i386 and amd64 will receive two additional years of extended security support. Wheezy's LTS period started a few weeks ago and more than thirty updates have been announced so far. If you use Debian 7 Wheezy, you do not need to change anything in your system to start receiving those updates. 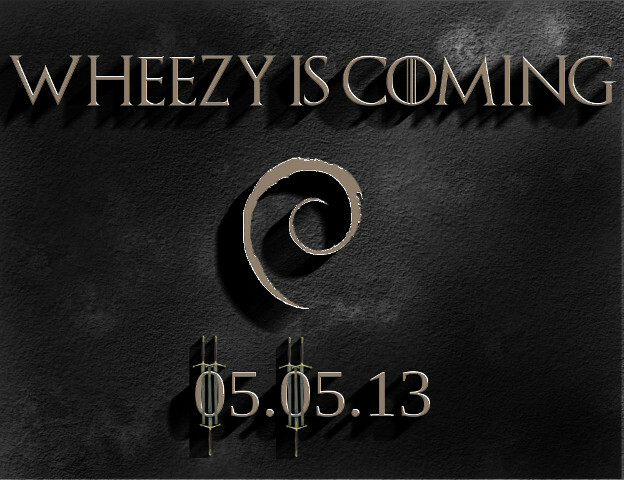 The new stable version of Debian, codenamed Wheezy, is finally here. Main features of Debian 7.0 Wheezy are multiarch support, specific tools to deploy private clouds, a greatly improved installer and a complete set of multimedia codecs and front-ends which remove the need for third-party repositories. For a complete list of new features and updated software, take a look at the official announcement. Want to give it a try? Check out the live images! Want to install it? Choose your favourite installation media among Blu-ray Discs, DVDs, CDs and USB sticks. Already a happy Debian user and you only want to upgrade? You are just an apt-get dist-upgrade away from Wheezy! Find how, reading the installation guide and the release notes. Neil McGovern, on behalf of the Debian Release Team, announced the target date of the weekend of 4th/5th May for the release of Debian 7.0 "Wheezy". 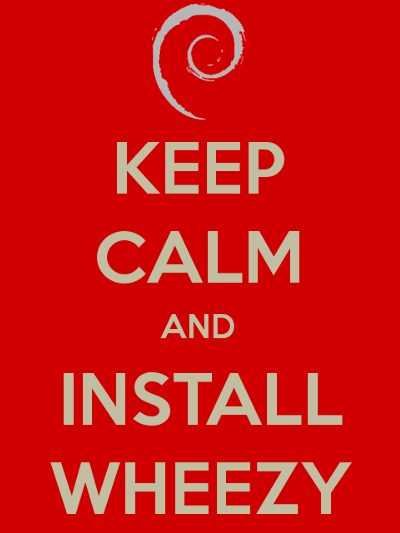 Now it's time to organize some Wheezy release parties to celebrate the event and show all your Debian love!